Planning a practice that motivates players to learn, train hard, and most importantly, enjoy the game is a fundamental responsibility of every soccer coach. Players of all ages and ability levels want to be excited, enthused, and entertained while they learn. They want to become better players, but they also want to have a good time in the process. Young soccer players in particular will derive the most benefit from practices that are challenging and fun, from exercises that are activity oriented, from games in which they are constantly moving, touching the ball and scoring goals. 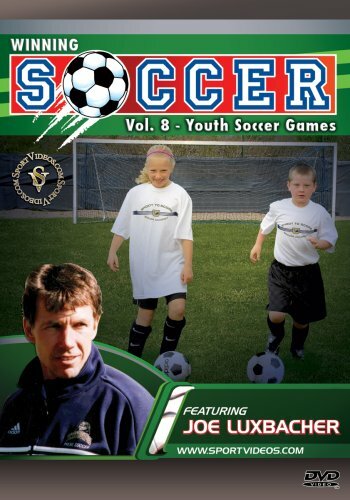 This comprehensive DVD provides coaches with a variety of games that will nurture the technical, tactical and physical development of their players. The games are competitive, fun to play and can be easily adapted to a wide range of ages and abilities.